A couple of quick hitters against a 2-3 zone defense to consider adding as something that your upcoming opponents haven’t seen you run. 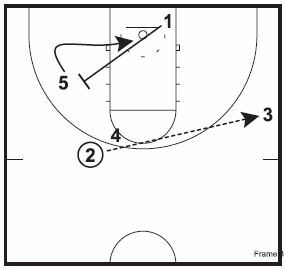 4 releases to catch the inbounds pass at the elbow. 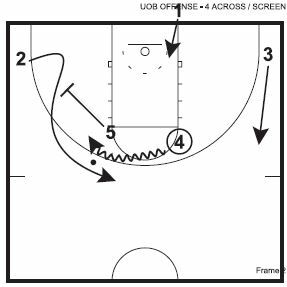 As soon as 4 catches the basketball, 5 sets a wide down screen for 2. 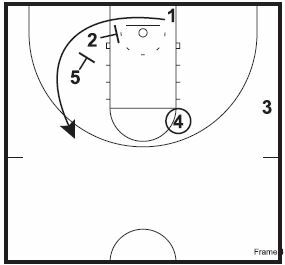 4 dribbles at the cutter for a dribble hand off. 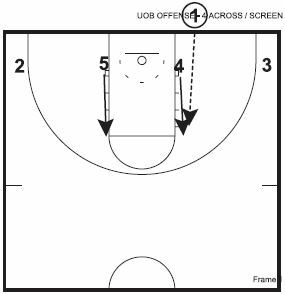 As the hand off takes place, 1 sets a diagonal back screen for 5. 2 is looking for a quick reversal to 3. The design is to get the ball to 5 at the basket. 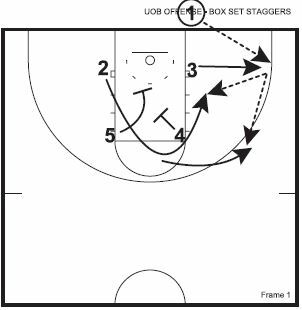 You can have 2 and 4 set a staggered screen for 1 to occupy the defense. This frame is another way to finish the play. You can run a stagger away for 1. The idea for the post is for you to motivate you and your staff to dedicate some concentrated thinking to ways to put your players in positions to take advantage of their strengths. 3 pops to the short corner. 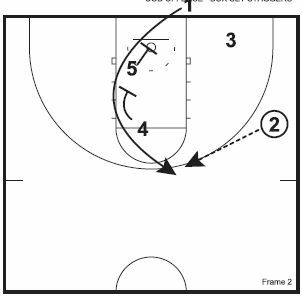 The first cutter, 2 curls the staggered down screen from 5 and 4 . If 2 is not open, he will cut to the wide wing (elbow extended). 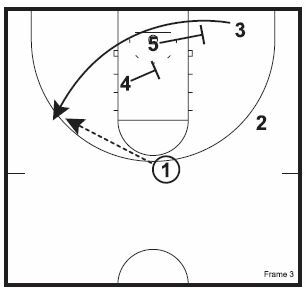 After inbounding the ball, 1 comes off a staggered screen from 4 & 5. The final option is for 3 coming off a third staggered screen.